The government has announced that it will change archaic divorce laws as soon as possible to bring about no-fault divorce. Under new proposals, couples who want to divorce would no longer have to blame each other for the breakdown of their marriage. Nor would they have to prove that they have been separated for two years if the decision to divorce is mutual, or five years if it is not. Announcing his plans, Justice Secretary, David Gauke, said that it’s important to do everything possible to ensure that “the future relationship between the divorcing couple is as harmonious as possible”, particularly where children are involved. He said that “it cannot be right for the law to “create or increase conflict between divorcing couples”, and advised the move will make the divorce process “less acrimonious” and allow families to “look to the future”. Removing the ability to allege fault. Removing the need to prove that the couple have lived apart. Removing the need to provide evidence of the other spouse’s conduct. Introducing a notification process whereby either spouse, or both, can notify the court of their intention to divorce. Removing the ability to contest the divorce. You can take part in the consultation here if you wish. 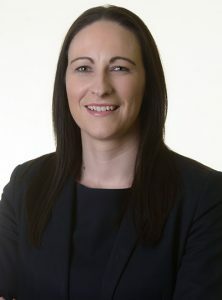 The debate around the need for no-fault divorce has intensified recently with the case of Tini Owens, whose husband contested her divorce petition, and who has been refused a divorce by the Supreme Court. In making the judgement, Supreme Court judges spoke of ‘uneasy feelings’ and past chair of Resolution, and a campaigner for no-fault divorce, Nigel Shepherd, said that the Supreme Court’s action confirmed that there is a “divorce crisis in England and Wales, and the government needs to take urgent action to address it”.